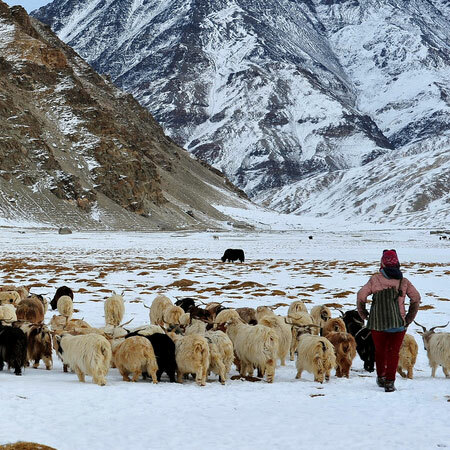 Trekking in the home of the Changpa nomads, who still roam the Rupshu plains. 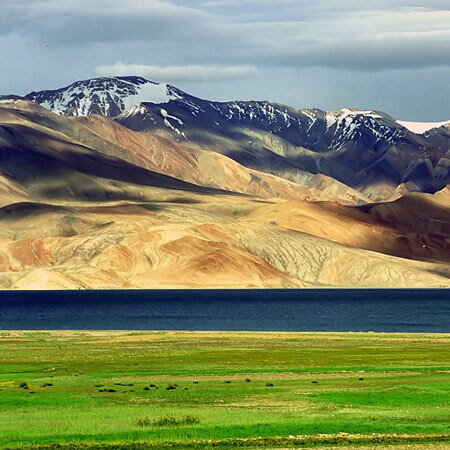 Great avifauna to be seen around the two lakes of Tsomoriri and Tsokar. 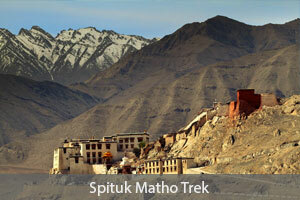 Some of the best otherworldly scenery to be seen on the trekking route. 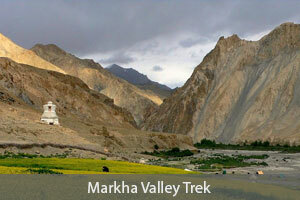 Drive from Leh to Rumtse, a village on the Leh-Manali route in eastern Ladakh. 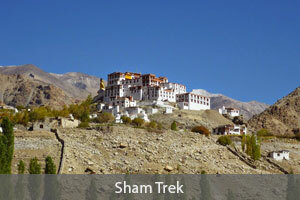 Start your trek by a 4 hour walk to Kyamar (4050m). On your second day itself, we cross two passes. 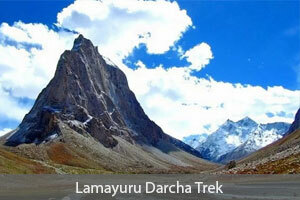 Post breakfast, we gradually ascend, and cross the Kyamar La (4800m), from where you can view the spectacular Zanskar ranges, and then the steeper Mandalchan La (4850m). We camp at Tisaling at night. Another hard day's walk, crossing the Shibuk La (4900m)- from where we get a stunning view of the Tsokar lake. We camp overnight at Ponganagu (4250m). 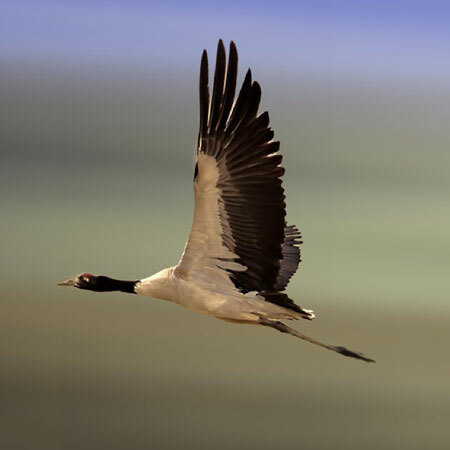 The trail today is easier, as we follow the Jeep road towards Tsokar lake, a salt encrusted lake home to a number of migratory birds, including the endangered Black necked crane. We camp at Nuruchan (4300m). Another exciting day of hiking, we first cross the Horlam Kongka La (4900m), from where we descend to Rajungkaru, home to several nomadic settlements. We re-ascend to Kyamayuru La (5410m), and descend to camp at Gyamar Barma (5150m). Post breakfast, we head to our next pass, Kartse La (5300m), post which we continue our ascent to Gyamar la, from where we get to see some spectacular views of the surrounding mountains. We camp at Gyamar (5200m). The last day trekking also gets us crossing our highest pass, the Yalung Nyaulung La (5450m). The climb is well worth the effort, as we see the azure waters of the Tsomoriri lake from the height. 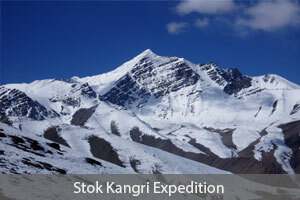 We descend slowly to Korzok Phu, and camp finally at Korzok (4500m). 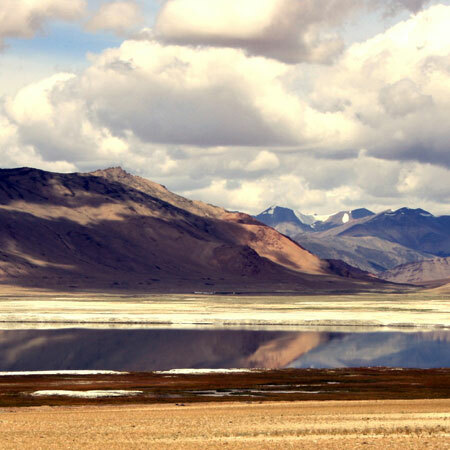 Wake up to a leisurely breakfast, and drive back to Leh in your waiting vehicle.